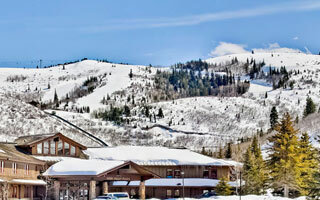 This four bedroom private home is located in the Silver Lake area, mid-mountain at Deer Valley Resort. The home features a fully equipped kitchen, pool table, outdoor hot tub, private garage, stone fireplaces, vaulted ceilings and wood floors. The residence is conveniently located less than a one minute walk to the Silver Dollar ski run. The Signature Collection's complimentary in-town transportation, provided by Cadillac, is offered during the ski season. Home is located in the Silver Lake area of Deer Valley Resort and features a fully equipped kitchen, pool table, outdoor hot tub, private garage, stone fireplaces, vaulted ceilings and wood floors.